Smudge mischievously sits in his masters cauldron that has ivy creeping up from underneath. This black cat has a silver triquetra medallion hanging from his red collar. 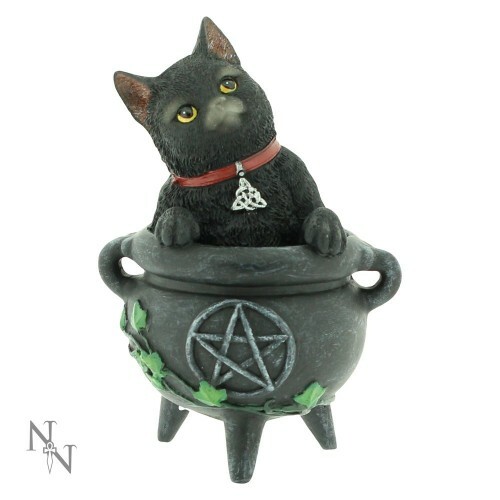 A cute companion for the witch or cat lover in your life. Cast in high-quality resin before being lovingly hand-painted.